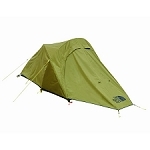 A spacious tent for ultralight trekking and weight-optimizing mountain tours. 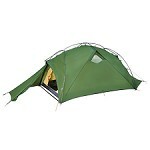 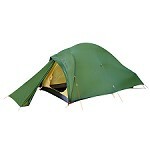 Can be used for 3-seasons, extremely lightweight, and has a quick and easy set up. 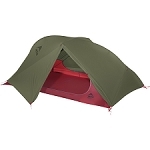 The pole arrangement in this 2-person tent creates a cubical interior with a variety of places that have comfortable sitting height. 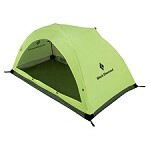 A panoramic entrance on each side can be opened wide and allows for an unobstructed view of your surroundings. 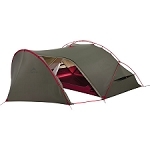 Other benefits include the opportunity to sleep crosswise and easy access to your gear. 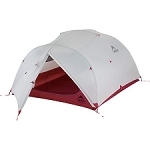 Both vestibules offer enough space for gear and are well-suited for cooking. 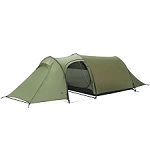 Two fully adjustable vents ensure a pleasant microclimate when the entrances are closed. 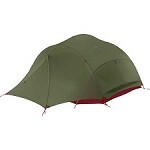 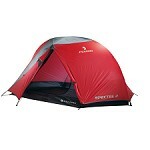 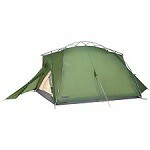 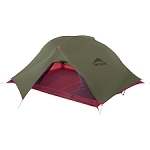 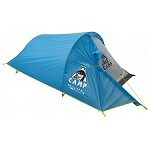 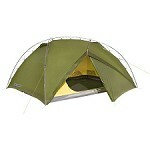 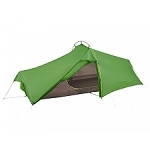 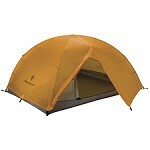 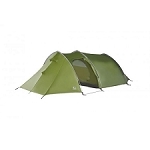 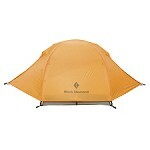 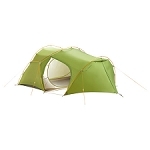 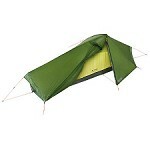 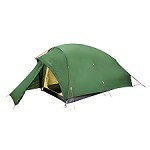 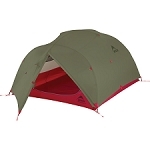 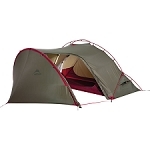 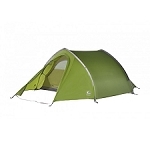 In warm, dry regions the inner tent can be used on its own. 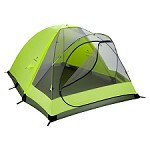 Enjoy the starry skies in this tent!